Cricket is more than just a sport to many Sri Lankans and has become a platform for unity and equality since Sri Lanka made its international debut in the 1975 inaugural Cricket World Cup. Bringing together those of all walks of life, ethnicities and communities, this game has positively touched the lives of many with hope and aspiration. 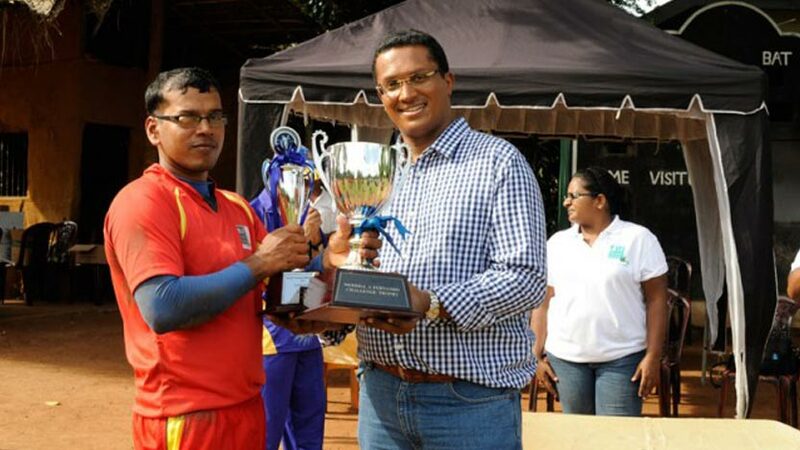 The annual Merrill J. Fernando Challenge Trophy for Excellence in Visually Impaired Cricket is a celebration of the sportsmanship and teamwork of Sri Lanka’s visual and hearing impaired through the game of cricket. It commenced in 2008 as part of celebrating Dilmah Founder Merrill J. Fernando’s birthday with a cause close to his heart. 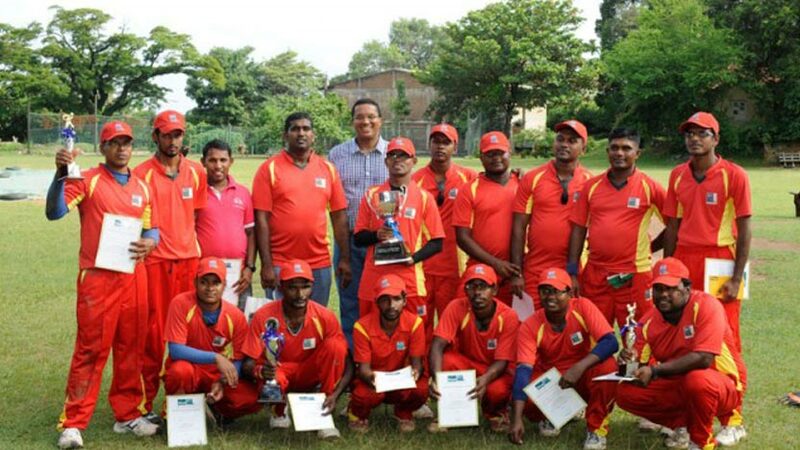 The 7th Annual Merrill J. Fernando Challenge Trophy was played in September 2014 at the Prison Department Ground, Colombo 08 between The Moneragala Subhagya Vidyalaya — School for the Hearing & Visual Impaired and the Sri Lanka (Combined) National Team. Both teams comprised players of varied stages of visual imparity with skilled batting, bowling and fielding abilities. The (Combined) National Team consisted of Dimuthu Ravindra, Saman Kumara, D. Chaminda, Jagath Kumara, Major Dinesh Mathugama (Ranaviru Sevana), Ruwan Wasantha, K. B. R. Jayarathne, Pradeep Sameera, Sulochana Gunawardane, Kelum Lakmal, Chandana Kumara Suriyaarachchi (C), Ruwan Karunathilake, Dimuth Perera, Kalyana Kumara and Madushanka Wishwanath coached by Jagath Rajapaksha. 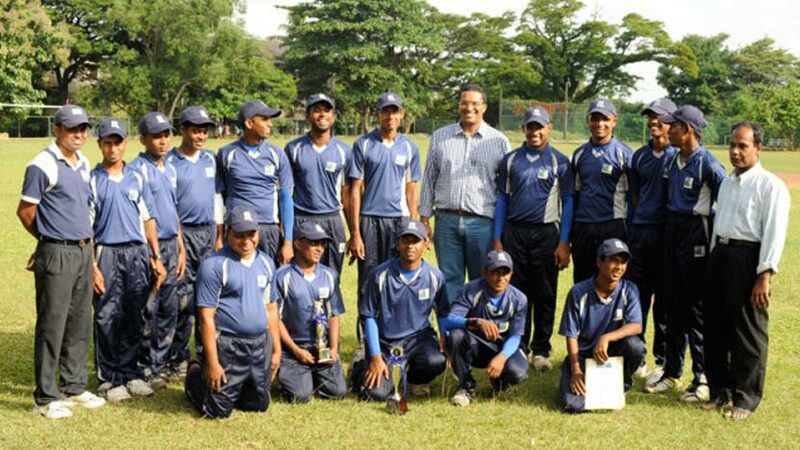 The players of Moneragala Subhagya Vidyalaya team included Chandana Deshapriya (C), Suranga Sampath, Sunil Weerasinghe, Prabath Thissa Bandara, Udara Chathura Charith, Damith Sandaruwan, Maduka Jayasinghe, Nuwan Tharanga, Kosala Herath, Chamara Kumara Wanninayake, Vidura Nayanajith, Sajith Priyankara, Saman Thusara, S. H. Thilakarathne and Pradeep Priyantha coached by W. M. L. Wanasinghe and Ajith Priyantha. The Moneragala Subhagya Vidyalaya won the toss and invited the Sri Lankan (Combined) National team to bat first. The Sri Lankan (Combined) National Team scored 201 for 6 wickets with Chandana Kumara Sooriachchi scoring 53 runs (LBW by Prabath Thissa Bandara) and Capt. Dinesh Mathugama Scored – 68 (Not Out). The Moneragala Subhagya Vidyalaya who batted second managed to score only 159 losing all their wickets. Suranga Sampath Scored 83 runs (Bowled by Dimuthu Ravindra) and Chandana Deshapriya scored 31 (Caught Saman Kumara and Bowled by Chandana Kumara Suriyarachchi). Thus the winners of the MJF Challenge Trophy were the Sri Lankan (Combined) National team who won the match by 43 Runs. 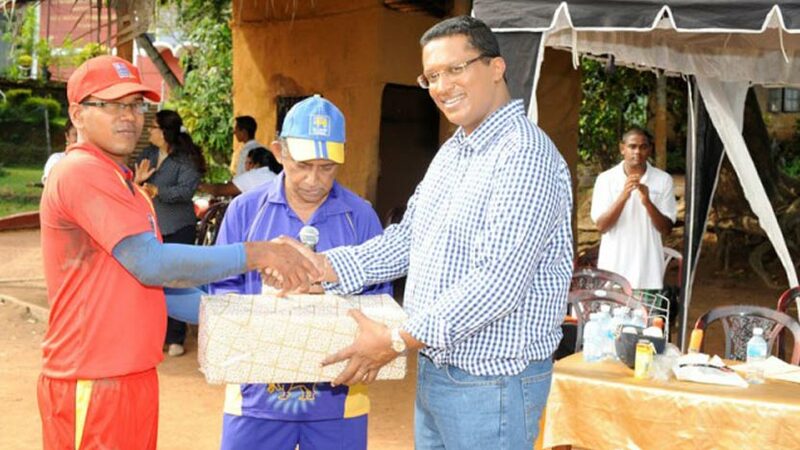 The Man of the March was adjudged for 3 categories based on the players sight and was awarded to Chamara Kumara Wanninayake (Fully Blind), Major. Dinesh Mathugama (Partially Blind) and Chandana Kumara Sooriachchi (Partially Sighted). The game was an inspiring show of camaraderie and team spirit that kept the spectators engaged throughout the match. It also established the commitment of the Dilmah Founder Merrill J. Fernando towards dignifiedly empowering the differently-abled of Sri Lanka. 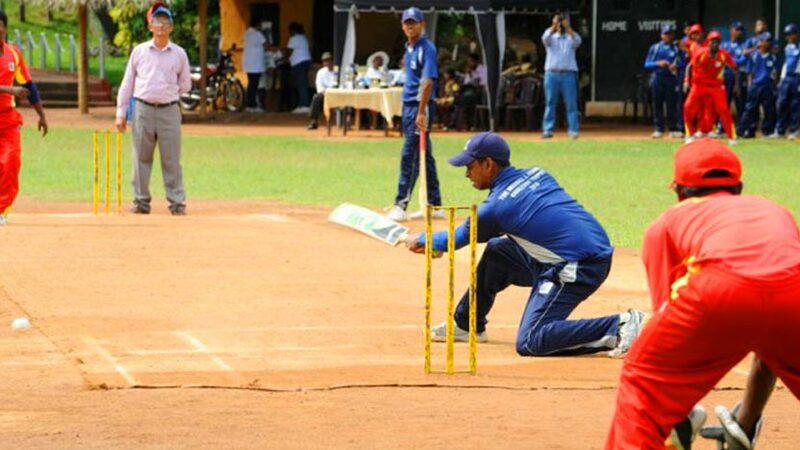 The MJF Charitable Foundation has supported the Sri Lanka Cricket Association of the Visually Handicapped since 2007 by hosting the Dilmah Challenge Trophy. This tournament gives all teams registered with the Association an opportunity to participate at a national level cricket tournament. Currently, the MJF Charitable Foundation supports and mentors the cricket team from the Monaragala Subhagya Vidyalaya – School for the Hearing and Visual Impaired. This institution has contributed several key players to the Sri Lankan National Cricket Team for the Visually Handicapped.